One of Sydney’s most looked forward to events, Bars March (formerly known as Parched March), has launched for its fifth year. Held in support of Animal Welfare League NSW, Bars March is a whole month of responsible drinking of fabulous cocktails in great bars, for a good cause. Amidst a glamorous crowd, some with their georgeous pooches, Café del Mar on the terrace at Cockle Bay, was a superb venue for the launch. Guests had the choice of enjoying the restaurant, watching the chefs in the open kitchen preparing platters of the best canapés I have eaten, or standing on the large outdoor deck watching the sun go down over Darling Harbour. The delicious Mediterranean inspired canapés were provided by Café del Mar Head Chef Ben Fitton and Brand Ambassador Miguel Maestre, they included Chermoula crusted chicken, rouille and endive, Persian fetta and jamon serrano, and Padron peppers, pink salt and cumin. Bars March partner Suntory provided a selection of amazing cocktails, including my favourite, the Side Car consisting of Remy Martin VSOP, Cointreau and lemon juice. 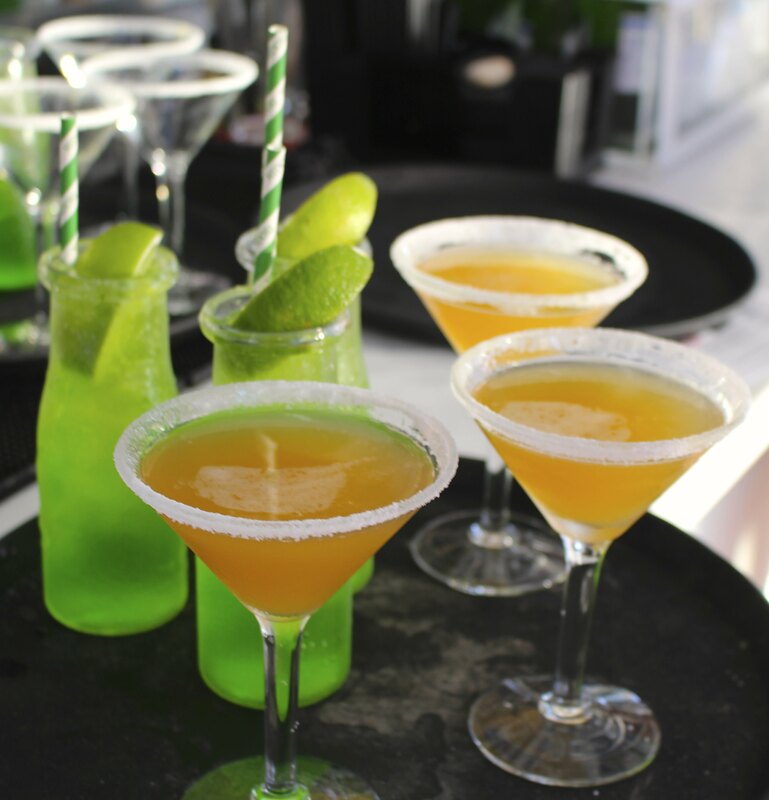 Also looking good was the Midori Fizz mix of Russian Standard Vodka, Midori, soda and lime. All the favourite events are back and throughout March, special cocktails are on offer at more than 80 Sydney bars, from major venue groups to funky little hotspots. 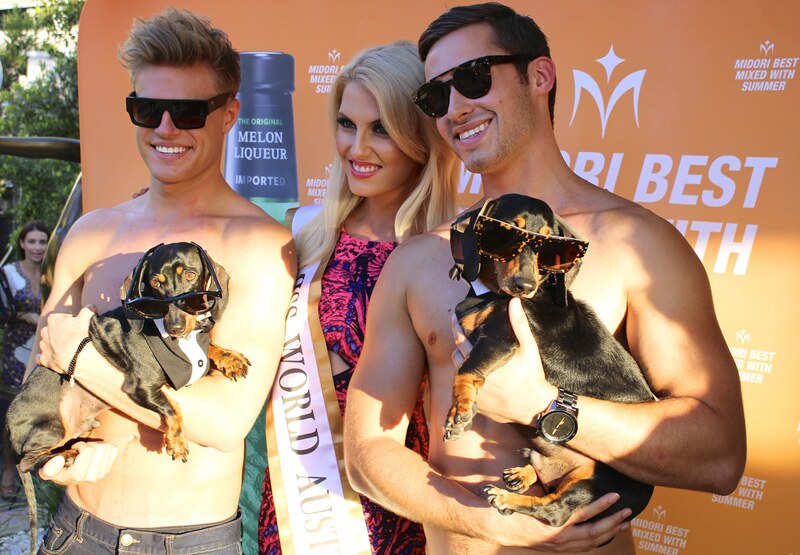 Two highlights are the Puppy Prom on 16 March at The Alexandria Hotel 1pm-4pm and Mr CBD on 20 March at The Argyle top floor 6.30pm-10pm. Animal Welfare League NSW works to save and improve the lives of pets that have been surrendered, neglected or abandoned and is reliant on donations. They protect animals through regulatory work with various Government bodies and help to enforce legislation with a team of Inspectors who are on the ground every day. For pets in need, they provide customised care through a foster care and branch network, three shelters and veterinary hospital, while working to find loving forever homes for animals in their care. Fiji and New Caledonia are now passé, having been favourite destinations on cruise itineraries for many years. Now it’s Papua New Guinea’s time to take the limelight as the new star that everyone wants to visit. Australian cruise travellers are always on the look out for somewhere new and exciting to visit that’s close to home. 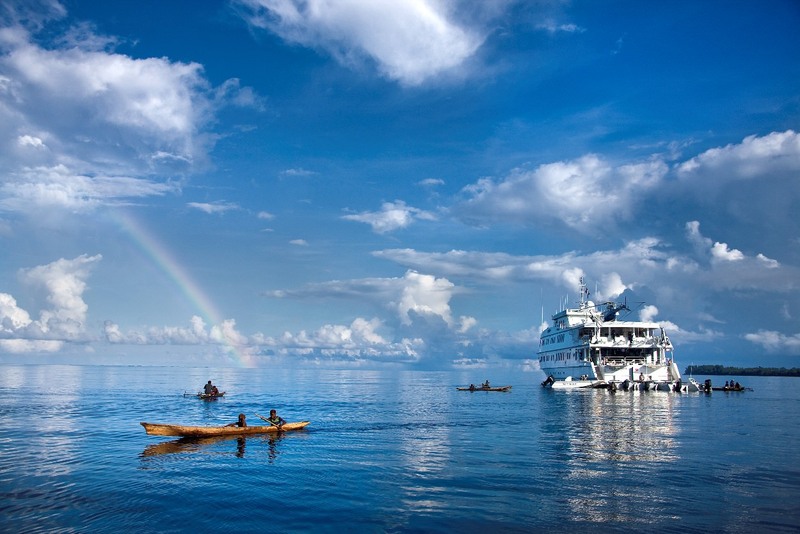 There’s only one way to experience the mysterious world of Papua New Guinea and that’s on board “True North”. From culture and village life, to remarkable fishing and diving expeditions, their guests are privy to some of this magical region’s most extraordinary experiences. Daily activities include scenic walks, fishing, snorkelling, diving, picnics, cultural events and spectacular flights in the ship’s helicopter. For those more interested in exploring underwater spectacles, the remote Admiralty Islands and Bagabag Island offer some of the most pristine coral reefs for divers and snorkelers. 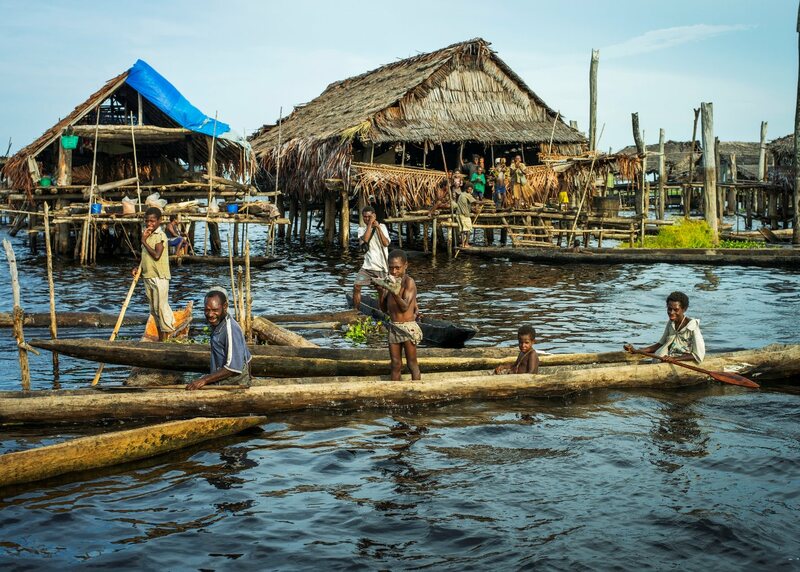 The mysterious Sepik River is high on every adventurer’s list but each itinerary offers its own unique set of experiences and activities with guests choosing to do as much or as little as they like. “True North” is Australia’s premier luxury adventure cruise ship and is purpose built to sail deep into the heart of the wilderness, visiting areas that larger ships cannot access. The 36 guests are tended to by a crew of 20 and are privy to only the highest quality experiences, courtesy of the on board biologist and a team of naturalists, a ship’s helicopter and six dedicated expedition boats. Exceptional food and wine are served on board, with the modern Australian cuisine supplemented by locally sourced ingredients, complemented by a selection of Western Australian wines. Cabins are spacious and modern, plus there is a panoramic lower deck dining room, an alfresco bar and an observation lounge. First visiting the wilds of PNG in 2005, “True North” has continued to foster and build on relationships with the local people in some of the most remote parts of the country. It’s these relationships that allow guests to visit communities that have remained largely unchanged by the pressures of the modern world, providing guests with the rich cultural and adventure experiences that await them in the “land of the unexpected”. Each year “True North” explores this remote land in November and December with itineraries ranging from five to twelve nights. 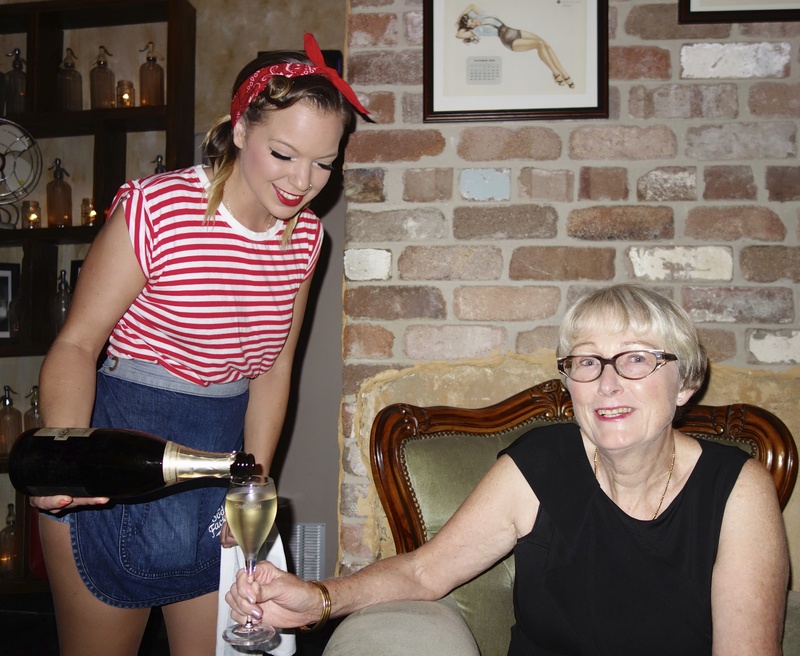 Celebrating its first birthday last week, The Soda Factory at 16 Wentworth Avenue, Surry Hills has become one of Sydney’s favourite bars, after just twelve months. DJ Grandmaster Flash jetted in from New York especially for the celebrations. After leading a toast to The Soda Factory turning one, he then performed an intimate show for the party. At The Soda Factory, the fun begins right at the front door, where you are greeted by staff on roller skates, wearing 1950s era diner uniforms. Entry into the bar is behind a retro coke machine door. Sumptious lounges and comfortable armchairs are just two of the reasons why this bar is so popular. Add in a great atmosphere, large selection of cocktails, wines and beers, terrific music, a food menu of American favourites and there you have it, a bar you want to visit every night. Who could resist an invitation to be at Bondi Beach for the launch of the new movement #WakeUpBeAMazing, even if it was a 6.45am start. The Wake Up, Be Amazing movement is about rising early, seizing the day and having a delicious breakfast. five:am organic yoghurt, who was behind the launch, believes that when you wake up early, you get a unique view of the world, a sense of clarity rarely seen throughout the day. Whether it’s a surf, yoga session or meditation the early morning is the perfect time to do something just for you. Yoga 213 was on hand for an energising hip hop yoga class, followed by a fabulous nourishing breakfast. 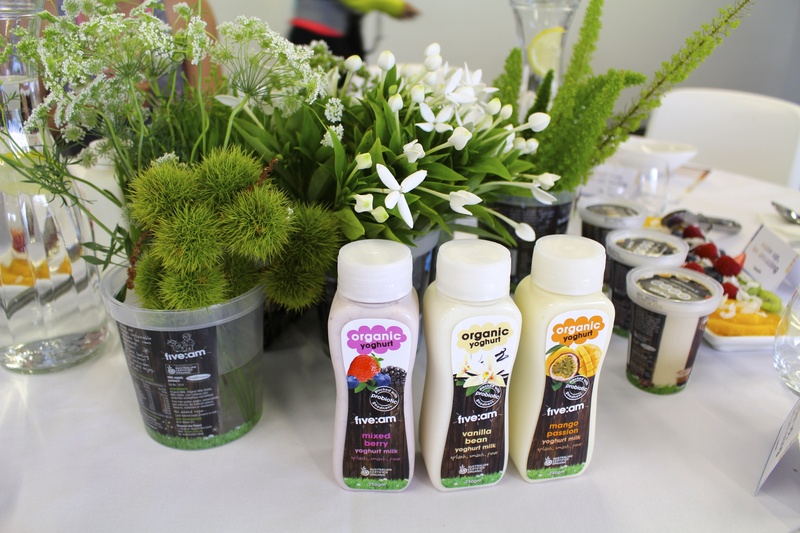 A tropical smoothie made with five:am natural yoghurt was a great way to start, followed by a selection of five:am organic yoghurt products. I especially enjoyed their coconut and coffee flavoured yoghurts. During breakfast, Aussie pro surfer Laura Enever and actress Jess Tovey spoke on why they loved to get up early and seize the day. 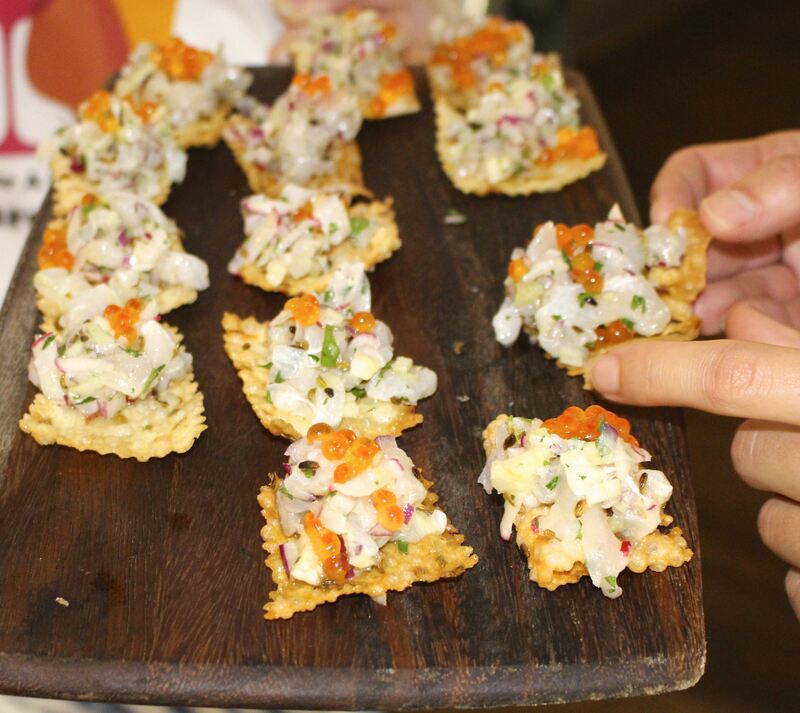 The menu also showcased special items curated by The Holistic Ingredient founder, Amy Crawford. Her berry chocolate chia mousse featuring five:am natural no added sugar yoghurt along with an avocado, coconut & lemon cheesecake featuring five:am greek-style yoghurt were delicious. It certainly made getting up early worth the effort. Wildlife on the African continent is constantly under threat from poachers and big game hunters. The dwindling numbers mean many creatures have joined the endangered species list and are threatened with extinction. Sydney’s current Wild in Art event by Taronga Zoo raises awareness of the critical plight facing rhinos. Colourful rhino sculptures painted by artists and their small calves decorated by local schools, are scattered around Sydney from February to April. This spectacular sculpture trail of 125 colourful rhino sculptures highlights the prospect that these magnificent creatures could be wiped out. Rhino poaching in South Africa is at an all time high. 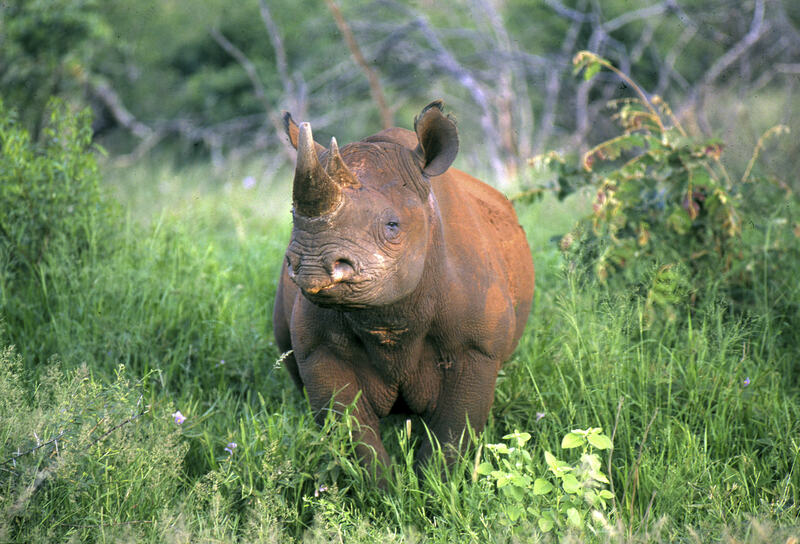 In order to protect and save the species, two of Africa’s leading conservation companies, Great Plains Conservation and &Beyond, have joined forces to safely translocate up to 100 rhino from South Africa to the safe haven of Botswana. “There is a battle for Africa’s wildlife raging as we speak. Rhinos are being poached at a rate of one every nine hours and the official number is 1,004 dead in 2013 alone. The unofficial number, because we simply do not find them all, is well over 1,000. Like everyone, I’ve been watching this desperate situation worsen, which is why Great Plains Conservation and &Beyond have decided to take action” said Dereck Joubert, Great Plains CEO. 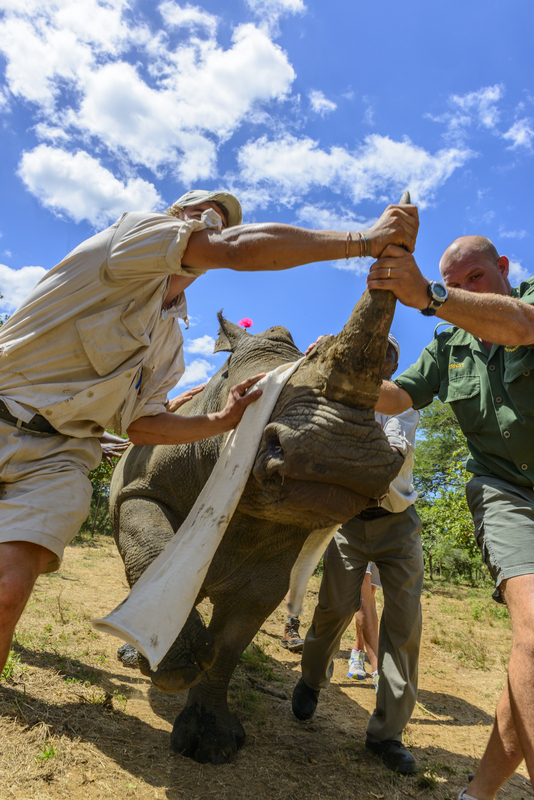 Having successfully translocated six rhino from South Africa to Botswana last year, &Beyond’s conservation team will lend its expertise to the project. 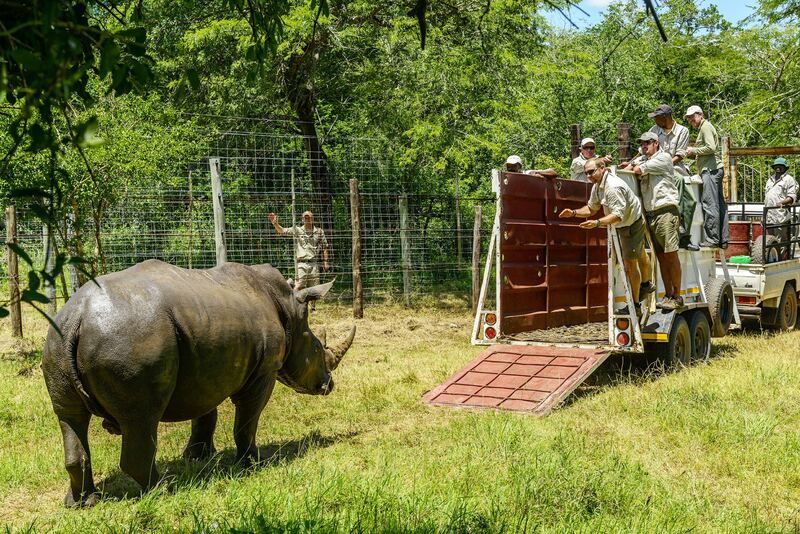 Up to 100 rhino will be captured and safely transported from South Africa and released in Botswana’s remote wilderness. Each rhino will be tagged and microchipped for research and monitoring purposes. A dedicated anti-poaching team using the latest technology will work in conjunction with Botswana government agencies to monitor the animals. This operation will cost US$8 million and both Great Plains Conservation and &Beyond will announce fundraising initiatives to enable tourism stakeholders, travel partners, tour operators and guests to help save this iconic species and ensure Africa’s Big Five remain for future generations to enjoy. &Beyond is one of the world’s leading luxury experiential travel companies, designing personalised luxury safaris in 15 African countries, as well as India, Bhutan, Sri Lanka and Nepal. Great Plains Conservation uses tourism to support the economics of conservation and is continually recognised for its role in harmonising the needs of local communities and wildlife, providing havens for Africa’s wildlife and the ultimate in guest experience. Their seven camps in Botswana and Kenya are leaders in environmental sustainability and community partnership. The battle to save the rhino from extinction will go on. 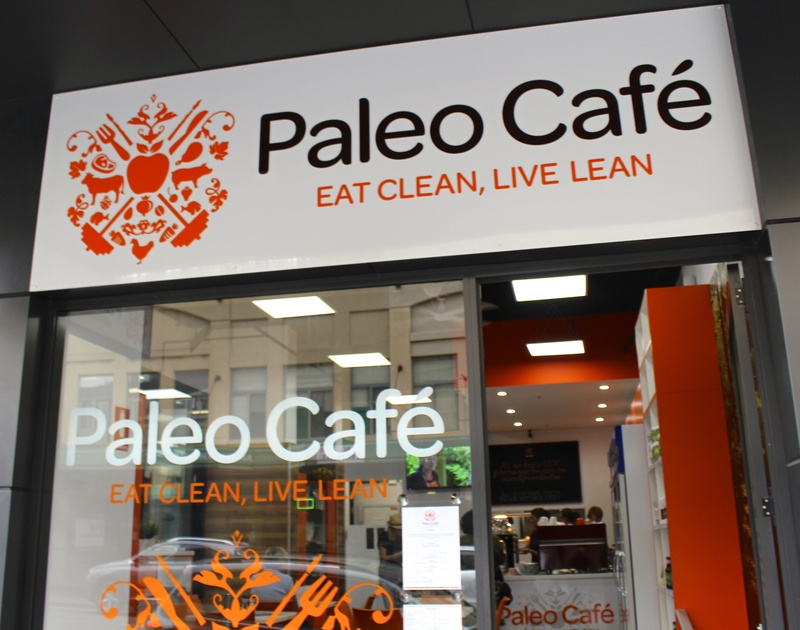 Paleo Café, with their signature orange chairs, opened recently at 310 Oxford Street, Bondi Junction and is a welcome addition to a block that is fast becoming a gourmet hub. “Eat Clean Live Lean” is the motto and philosophy behind Paleo Café, which began in October 2012 in Cairns, with Jai and Marlies Hobbs’ vision of providing a convenient, healthy eating and shopping experience based on the Paleo Lifestyle. A Paleo diet incorporates mother nature, mixing a balance of lean meat, seafood, eggs, fruit, vegetables, nuts, seeds and berries. The diet excludes dairy, grains, gluten, sugars and preservatives. When I visited for breakfast last week, I was pleased to see so many gluten free items on their menu. As I am lactose intolerant, it’s always a problem dining out, but Paleo’s menu had plenty of choices for me. 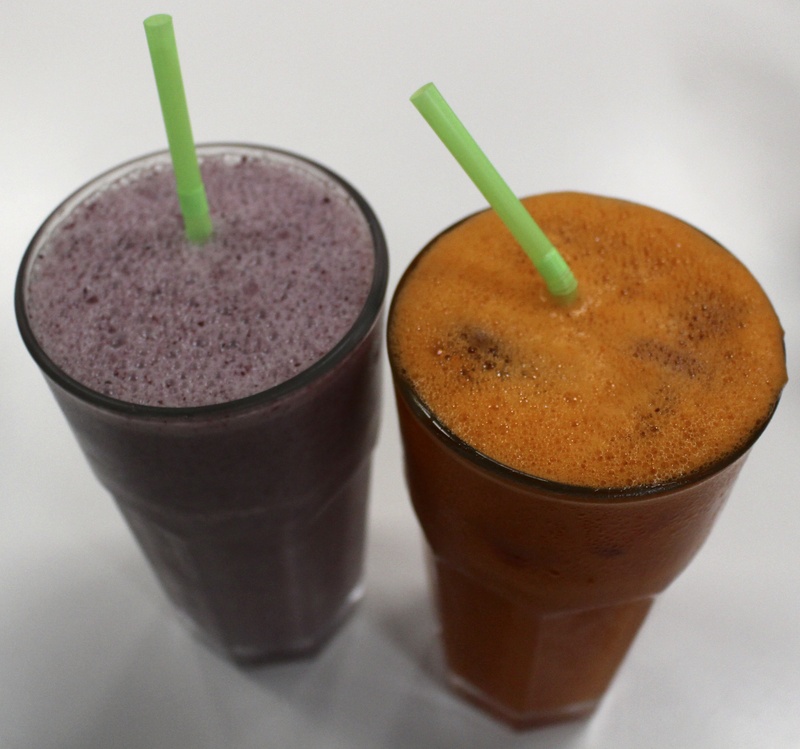 I began with a wonderful Revitalise Smoothie, made from berries and coconut milk while my partner tried the Immune Boost Juice. 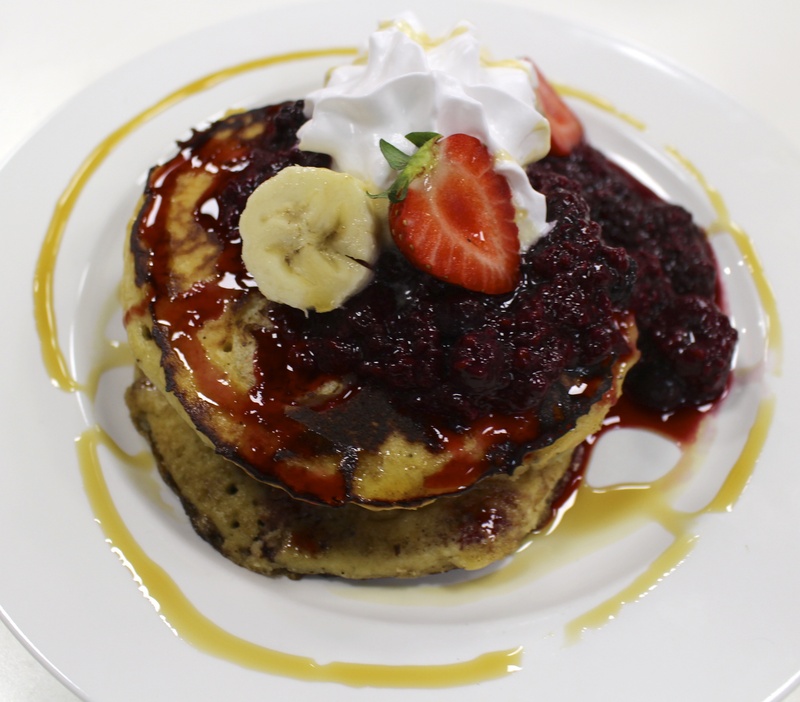 I then tried the banana pancakes served with berry compote and whipped coconut cream, really delicious, I can certainly recommend these. My partner also loved the Salsa Verde Eggs, consisting of poached eggs, bacon, roasted tomato and toast with salsa verde and rocket. Yum. Definitely worth a return visit. Sweet Charity, the classic award winning musical, is the first show to be performed at the Hayes Theatre Co in Potts Point, named for Australian musical theatre legend, Nancye Hayes OAM who played Charity in the original 1967 Australian production. Charity Hope Valentine is the eternal optimist, putting her at odds with her co-workers in a seedy, run-down dance hall. Dancing with man after man to pay her rent, she dreams of finally being whisked out of there and rescued by love. Directed by Green Room Award winner Dean Bryant and starring Verity Hunt-Ballard, the 2011 Helpmann Award winner of Best Actress in a Musical for her role as Mary Poppins, as the lovable Sweet Charity. The entire cast is excellent, with many playing multiple roles. Martin Crewes is a standout playing the men in Charity’s life as is Debora Krizak who plays Nickie & Ursula. The six member Fandango Ballroom Band provided the atmospheric music, which added to the feeling of actually being one of the dance hall’s patrons. A welcome addition to Sydney’s theatre scene, The Hayes Theatre Co is a small, intimate venue with a perfect view from each seat. The balcony is ideal to enjoy a drink, pre-show and at interval. A comfortable lounge area is adjacent to the well stocked bar serving champagne, wines, beer and soft drinks. Hayes Theatre Co is a dedicated music theatre and cabaret venue that honours and builds on the history of Australian Musical Theatre and its practitioners. Formerly the home of Darlinghurst Theatre Company, this not-for-profit venue is managed by Independent Music Theatre, a collaborative partnership focusing on providing a permanent home for small scale musical theatre and cabaret. 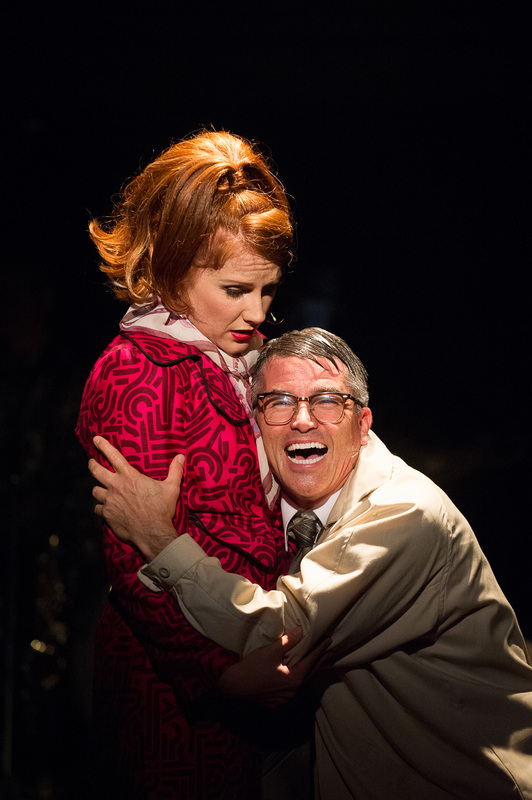 Produced by Luckiest Productions and Neil Gooding Productions, with Choreography by Andrew Hallsworth and Musical Direction by Andrew Worboys, Sweet Charity is playing at the Hayes Theatre Co until 9 March 2014. You are currently browsing the SANDRATBLOG.COM blog archives for February, 2014.